A birthday. I forget which one. I was probably about ten. A card arrived from Australia with a $10 bill inside. 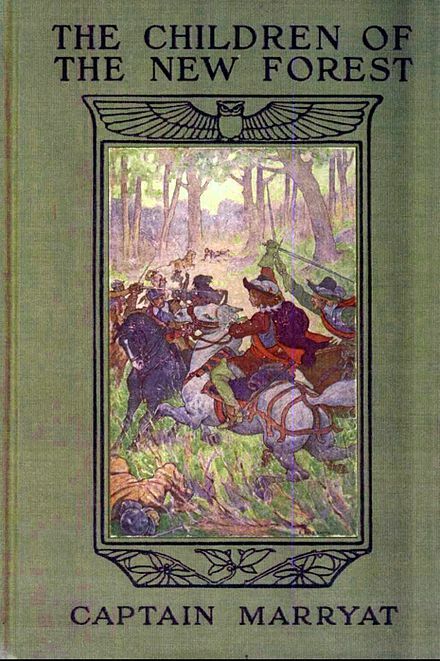 There was a financial exchange with my father, a trip to the local bookshop, a new book: The Children of the New Forest by Frederick Marrayat. 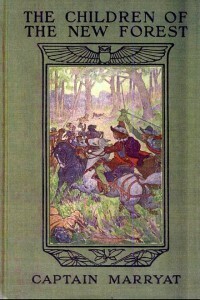 I read it cover to cover in one sitting, and a passion for historical fiction was born. Marryat tells the tale of the four Beverley children, orphaned during the English Civil War, who hide in the forest to escape from the evil Roundheads and their puritanical, Protestant leader, Oliver Cromwell. For three hundred pages, I joined the children, as they learned to survive in the forest. The story is set in the south-east corner of the New Forest, between Lymington and Sway, and the Beverley’s manor house was modelled, apparently, on the real-life manor of Arnewood (written without the ‘e’ in the book). Three years ago, my younger brother and his family moved to the New Forest, just a stone’s throw from Arnewood. 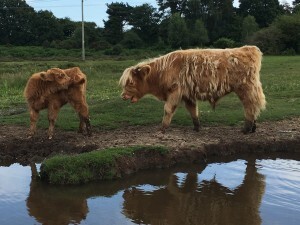 Having grown up with the steep, wooded hillsides and narrow hedge-rowed lanes of Kent, the New Forest came as an enormous surprise. More reminiscent of the Yorkshire Moors than my impression of South East England, I gazed in awe at its huge open skies, broad tracts of open, gorse-covered heath, wild horses, deer and cattle, and a handful of wooded areas nestling in the river valleys. Ninety miles south west of London, the New Forest ranges across Hampshire and Wiltshire, and was designated a National Park in 2005. It covers an area of 566 square kilometres and is made up of vast tracts of heathland, regenerated woodland and valleys lined with shallow, tea-coloured rivers. Several small towns and villages are scattered through the National Park, but access roads are narrow – and scarce – and seize up with tourist cars and camper vans in the summer months. The name New Forest seems somewhat inappropriate to our modern understanding of the term, for there are neither miles of impenetrable trees, malignant and creepy, nor can it honestly be called new, having been created by William the Conqueror in 1079 as a Royal Hunting Ground. With Kingly disdain, he carelessly evicted the peasants of almost forty parishes to clear the way for herds of deer and wild pigs, for the sole use of Royal hunting parties. Once deciduous woodland, it was cleared for cultivation way back in the Bronze Age, but the poor soil ensured a total lack of success for agricultural development. In fact, in Norman times the word ‘forest’ applied to a legal system, known as forest law, set up to protect the deer and the undergrowth they fed on. This law was hugely unpopular with the residents of the newly named nova foresta, who were suddenly forbidden to continue their traditional way of life, on pain of death or mutilation. No longer allowed access to the wild deer and pigs, they were not even permitted to gather wood for building their houses or lighting their fires on what had originally been common land. Nor were they allowed to enclose their own land, as fences disrupted the hunters. Punishment for contravening forest law was severe, and for more than a century, these laws were strictly upheld by the King’s foresters. Eventually, sometime in the thirteenth century, a new charter was written to re-establish pasturing rights to the disgruntled commoners, and the death penalty for poaching the deer was abolished. Today, common pasturing rights are still in place, and you can see wild horses, donkeys and Shetland ponies, a wide variety of cattle, deer and even pigs grazing freely all over the New Forest. Speed limits are low throughout the National Park to prevent accidents – and bodily mutilation – as the animals wander freely through the villages, stroll along the verges and cross the roads at will. They will often gather under bridges for shade and a spot of gossiping. And they all play a part in park management, thanks to their constant grazing. This summer we have been lucky enough to spend a fair bit of time with family in the New Forest: trudging across the heath, thick with gorse and delving deep into the woods; picnicking by the gravel-bottomed streams; pottering wide-eyed through village art galleries; guzzling greedily on luscious cream teas; sipping cider in the local pubs; gazing adoringly at new-born foals and young, rust-coloured calves; wandering along the coast and through pretty seaside towns laden with sailing boats. Suddenly, I remembered Marryat’s book, and went searching for a replacement copy in second hand bookshops, sadly to no avail. And then, we found ourselves in Ely, and I dropped into Oliver Cromwell’s home to hear his side of the story. An attractive, half-timbered house just up the road from Ely Cathedral, Cromwell’s family home abuts the local parish church of St Mary’s. The portrait of the sometime Lord Protector of England shows a doe-eyed man the spitting image of Alan Rickman, with a reputation as infamous as Rickman’s alter ego, Severus Snape. As I explored the old house, now an inter-active museum, I learned a lot more about this much-maligned British Head of State. Often remembered as a traitor, Oliver Cromwell led armed forces against King Charles I, and would eventually oversea his beheading. Yet, as a Parliamentary soldier, he was apparently one of the greatest military leaders England has ever known. Life was a struggle after Cromwell’s father died, when Oliver was only sixteen. Some years later, however, he inherited the house in Ely and considerable lands. He moved his family of nine children across the county and became a respected member of parliament. When King Charles, a devout believer in in the divine right of kings, began to take the law into his own hands, defying Parliament at every turn, and trying to convert the country back to Catholicism, the Protestant Cromwell found himself leading the opposition and openly criticizing the King. Civil War broke out in 1642. Cromwell was among many to take arms against the king. The War would continue for eight years, and shook the country to its roots. In 1645, a national army was created. As second in command, Oliver Cromwell led the New Model Army to victory time and time again. After the King’s execution, he was installed as Lord Protector and ruled as “King in all but name.” His supporters say he kept a firm hand on the tiller and restored peace to England long before his death in 1658. Nonetheless, his name was mud when Charles II returned to England and the throne, and set about his enemies with a vengeance. So, was he the traitorous rebel that Marryat described in my childhood novel, or was he in fact a national hero? A matter of perspective, perhaps, but at least I now have a more objective view. 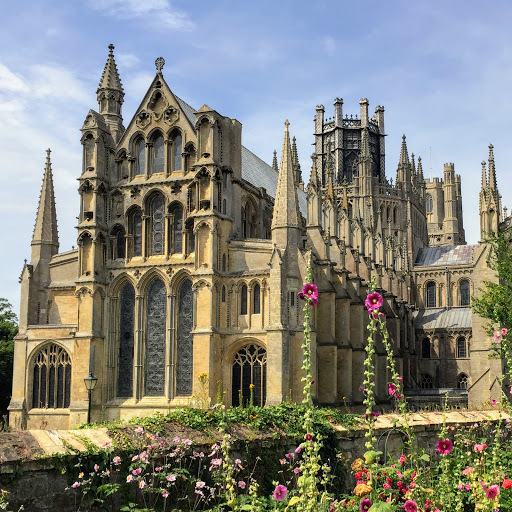 And Ely also provided some pretty parks and gardens, and a stunning cathedral. Here Shakespeare had taken over from God the night we arrived, with more juicy tales of Royal intrigue in a production of the black comedy, Richard III. We arrived too late for a ticket, but not to worry – it was a perfect evening for lounging outside the Cutter Inn, where we could admire a flotilla of canal boats moored along the riverbank and overindulge in steak and kidney pie. We stayed overnight on the outskirts of town, in a cosy B&B filled with a cornucopia of Victorian cranberry glass, and a fecundity of photo frames and frills. Hardly a reflection of a dour local hero accused of banishing the fripperies and furbelows of Christmas! This entry was posted in England, History, Travel and tagged Civil War, Ely, England, Hampshire, national park, New Forest, Oliver Cromwell, William the Conqueror. Bookmark the permalink.